In 1908, chief rabbis of 45 countries officially recognized the “lost tribe” as truly Jewish. 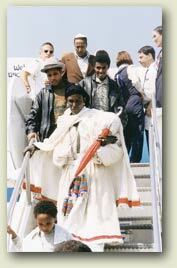 In 1984-85, in Operation Moses, 8,000 Ethiopian Jews (Beta Israel) were secretly air-lifted to Israel through Sudan. 4,000 died on route to Sudan and 15,000 were left stranded. In 1991, in Operation Solomon, 14,000 were air-lifted from the capital, Addis Ababa, in 36 hours, claiming a Guiness World Record! Today, over 135,000 Ethiopian Jews reside in Israel. One third of those are born in Israel to Ethiopian-Jewish parents. 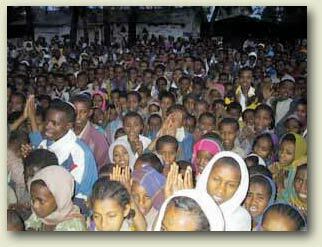 In November 2010, the Israeli government authorised the aliya of almost 8,000 Jews, mainly Falasha Mura (Jews who converted to formal Christianity in times of persecution and duress in generations past) who waited in dire, often life-threatening circumstances in Ethiopia. This operation called “Wings of the Dove”, brought the immigrants under Israel’s law of family reunification after much petitioning to the Israeli government by family members in Israel. In August 2013, the Israeli government closed the doors on the operation in Gondar, claiming all eligible Falasha Mura had now been brought to Israel. However some private NGOs in Ethiopia question this statistic, stating thousands still remain trapped in holding camps in Addis Ababa, the capital of Ethiopia. The high cost of absorption and immigration of the 8,000 who have been brought ($300 million over 2 years) is cited by some as a major issue behind the decision. Meanwhile, family members in Israel wait to receive those still left behind. In 2016, it was reported that 9,300 Falasha Mura were still waiting to Immigrate to Israel. Some sources reported 3,000 of this number were still in Gandar, waiting in dire circumstances, requiring humanitarian asistance. It is obviously an expensive and difficult situation for the Israeli Government to sort thorugh identities and statistics of the community that remains. In November of 2016, after much petitionining by activist groups, the Israeli government promised to bring 9,000 Falasha Mura over the next 3 years until 2020. By the beginning of 2017, they had already started coming to Israel to be reunited with family members.